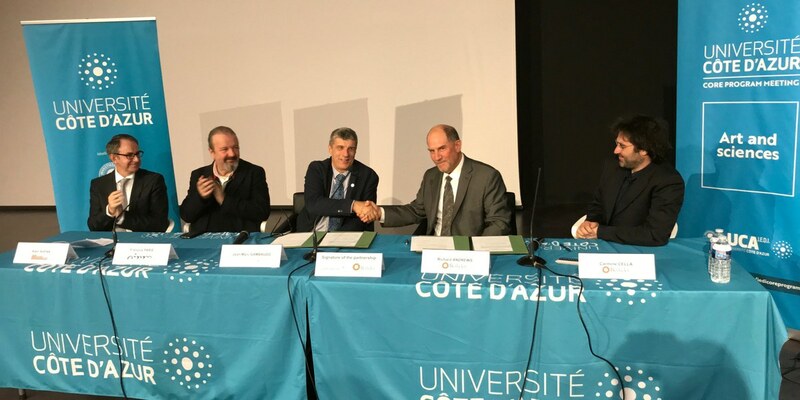 The Université Côte d’Azur and UC Berkeley have signed a Memorandum of Understanding (MOU) on December 8, 2018. This partnership will facilitate the development of research and education projects, as well as encourage the exchange of faculty and students in all disciplines. It was induced by the excellent relations existing between the Center for New Music and Audio Technologies (CNMAT) and the Centre National de Création Musicale (CIRM). Several UCA labs also have close collaborations with UC Berkeley, in particular within INRIA. This partnership aims at enhancing existing cooperation and fostering new transdisciplinary projects between both institutions, one example being a workshop on entrepreneurship in the creative industries.